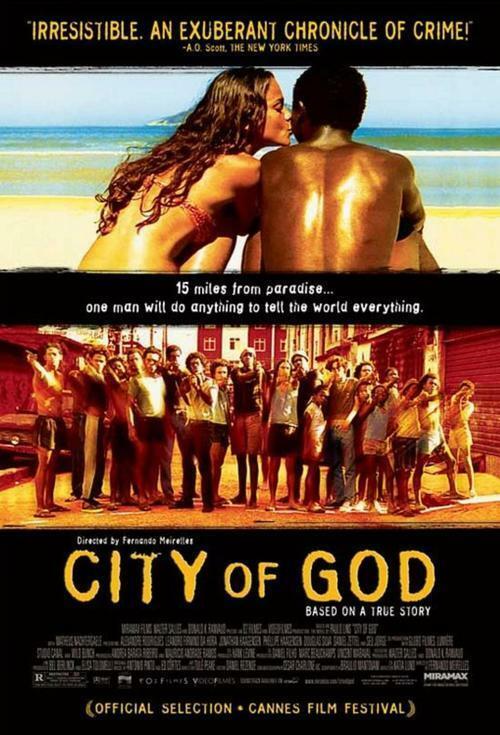 City of God: So You Hate Subtitles? In the poverty-stricken favelas of Rio de Janeiro in the 1970s, two young men choose different paths. Rocket (Alexandre Rodrigues) is a budding photographer who documents the increasing drug-related violence of his neighborhood. José "Zé" Pequeno (Leandro Firmino da Hora) is an ambitious drug dealer who uses Rocket and his photos as a way to increase his fame as a turf war erupts with his rival, "Knockout Ned" (Seu Jorge). The film was shot on location in Rio's poorest neighborhoods.